Looking for a home in the country with lake access? Then this property is for you, custom built home nestled on 3.8 acres+/- surrounded by many established trees. 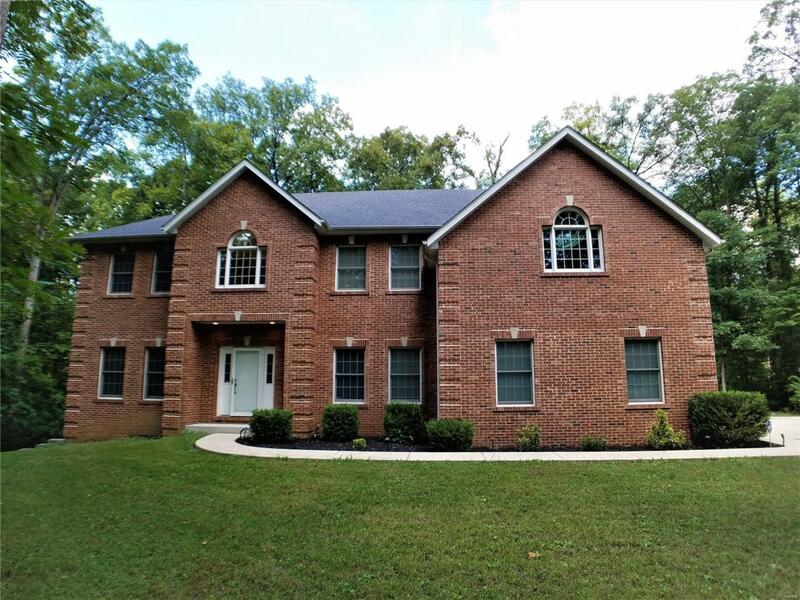 This 5 bed for 4 baths has lots to offer, find quality craftsmanship throughout this well-planned home; from the beautiful maple floors in the entry hall, dining room, kitchen/breakfast nook to the open spindle T-stair case! Stunning kitchen offers Quartz counters, center island w/pendant lighting, 42" maple cabinets, walk-in pantry, & a view of the woods from the dinette! The 2-story family room boasts fireplace with marble surround & wood mantle, & opens to main hall, dinette, & kitchen. Luxury Mstr Suite enjoys walk-in closet, tray ceiling, recessed lighting, w/dual vanity & garden tub with a separate shower. Find jack-n-jill bath adjoining 2 of 3 additional upper-level bedrooms & another full bath for the fourth bedroom. The main level houses the office/5th bedroom, den, and formal dining room w/hardwood flooring.